Do you like the Greek cuisine? I do, I like everything about Greece, its food, people, beaches, culture, and nature. I am born in a town that is just 20 minutes away from Greece. My family and I spent most of our holidays there. I like to cook Greek food because it is delicious and it’s not that difficult to be prepared. Today, I have made this traditional Greek Tipopita that Greek people eat for breakfast. I tried to make it healthier as I did not use butter and milk and it still tasted amazing. Put four tablespoons olive oil in small saucepan over medium-low heat. Whisk in the flour until smooth and cook, constantly stirring, for 2 minutes. Gradually pour in the soy milk, constantly stirring with a whisk or wooden spoon. Add the salt, occasionally stirring, until mixture is bubbly and thickened, 5 to 10 minutes. Mash the feta cheese with a fork in a bowl and stir in the grated kefalotiri and beaten eggs. Pour in the hot white sauce and mix well. Preheat oven to 180 degrees C. Olive oil a 9×13-inch baking dish. 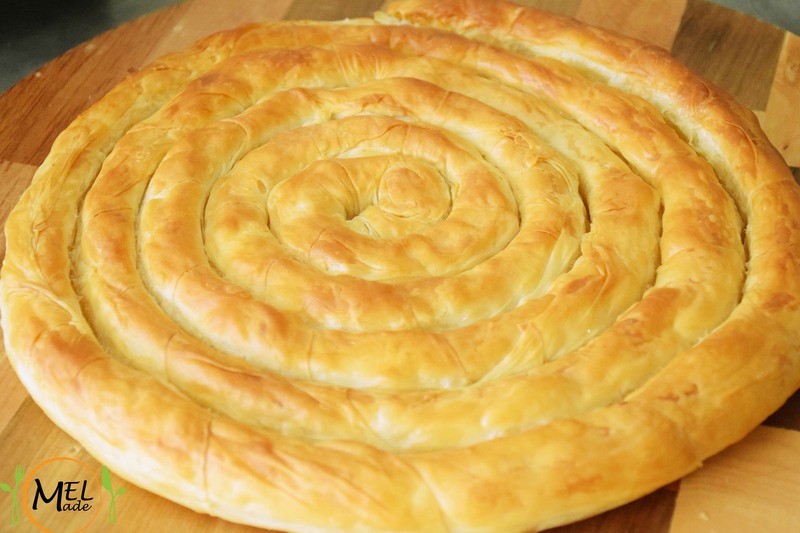 Take one phyllo dough and add some of the cheese mixtures in the center and make a roll. Repeat the same thing until you run out of sheets and filling. Bake in the preheated oven until the pastry is golden brown and crisp, about 45 minutes. Let stand for 5 minutes, then cut into squares and serve hot.